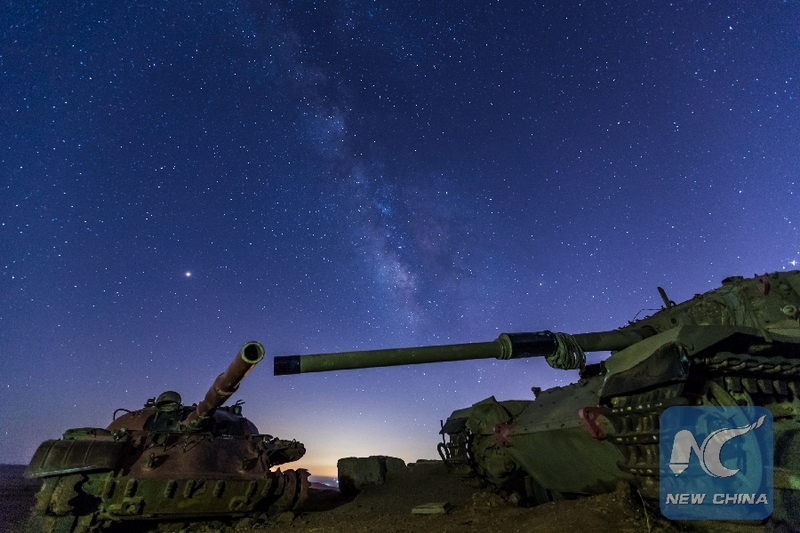 UNITED NATIONS, Dec. 21 (Xinhua) -- The UN Security Council on Friday adopted a resolution that stressed no military activity should occur in the de-militarized zone between Syria and the Israeli-occupied Golan Heights amid the UN peacekeepers' return to the area. Through Resolution 2450, the Security Council stressed the obligation on Syria and Israel to respect their 1974 ceasefire that set the buffer zone and deployed a UN peacekeeping force known as UNDOF. The Security Council further underscored no military activity should occur in the zone either by the Syrian government forces or the Syrian opposition groups. In August this year, the UN said it was implementing "a gradual return" of its peacekeeping force to the zone after its security situation had improved. In Friday's resolution, the Security Council "called on all groups other than UNDOF to abandon all UNDOF positions, and return the peacekeepers' vehicles, weapons, and other equipment." It also welcomed UNDOF's efforts to intensify its operations in the separation area as well as the "cooperation of the parties" to facilitate its return.